Weird Al Yankovic has been releasing music since 1978. His career has spanned four decades, and he's outlasted–and in some cases, outsold–the artists he's parodied. His work is beloved by fans throughout the world, as well as a number of musicians. Kurt Cobain said he knew Nirvana had truly "made it" once Al created his parody of "Smells Like Teen Spirit" (loving titled "Smells Like Nirvana"), and Chamillionaire believes his grammy win for "Ridin'" wouldn't have been possible without Al's "White And Nerdy" bringing additional attention to the original. Yet, despite a very successful career, Weird Al had never achieved a #1 album. 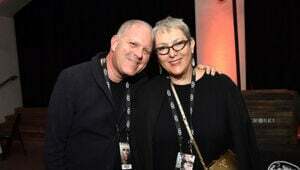 Of course, few artists do–it's a difficult achievement to earn. But when Al announced his 14th record, Mandatory Fun, would be his last full-length album, he had a few tricks up his sleeves. And just like how Al has adapted his music over the years to keep up with emerging trends in the music industry, he utilized an emerging (at least since his last album in 2011) marketing trend: social media. 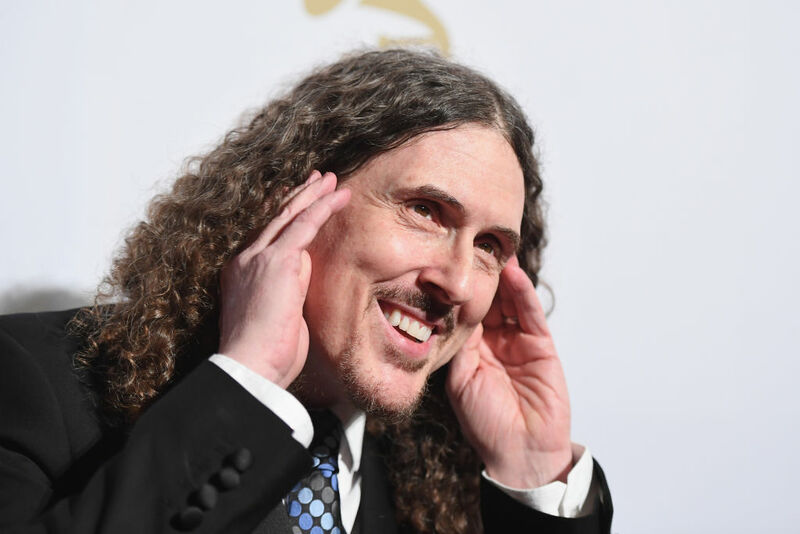 Let's take a look at how Weird Al dominated the internet to skyrocket to the top spot on the Billboard charts–the first of his career, and the first time in history a comedy album debuted at #1. Weird Al first dropped mention of a new album online with a series of YouTube videos released in June 2014, shot in the style of a television transmission cutting into regularly scheduled programming. They were quick, around 15 seconds long, and fairly vague. But they teased at the hint of something to come. That something was Al's #8Videos8Days social media campaign. Mandatory Fun was released on July 15, 2014. The day before, Al released the first of eight music videos in eight days (hence the clever hashtag), a parody of a song you may have heard on the radio once or twice, Pharrell's "Happy". Al's version was called "Tacky", and featured cameos from Aisha Tyler, Margaret Cho, Eric Stonestreet, Kristen Schaal and Jack Black. Next up was "Word Crimes", a nod to journalists and grammar police everywhere that spoofed Robin Thicke's "Blurred Lines". The word art video contained references to plenty of obscure things–Reddit in particular freaked out over the usage of the HamsterGifs subreddit in the video. Not coincidentally, Al also participated in an AMA session with Redditors the same day "Word Crimes" was released. Day three brought us "Foil", which parodies Lorde's "Royals". The first verse pays homage to all the benefits of aluminum foil, and how it keeps things fresh better than similar products. The second verse is where Al wins the hearts of conspiracy theorists everywhere by bringing up a number of controversial schools of thought, such as the moon landing being faked. The video ends with Al being taken away by mysterious men, and Patton Oswalt guest stars as a producer with a crazy secret of his own. Iggy Azalea got the Weird Al treatment in day four, as her "Fancy" became "Handy". This is actually the second song Weird Al has made about hardware (the first being 2003's "Hardware Store" from his Poodle Hat album), though it's the only one with the line "I got 99 problems, but a switch ain't one." Over the next four days, Al released other songs from his CD that were style parodies, rather than direct imitations of specific songs. "Sports Song" found Al accompanied by a marching band, using generic, vague statements indicating why his team is better than any other. Sports lovers can appreciate it, but it probably does a better job of targeting people who don't really enjoy sporting events, with rah-rah statements like "We're gonna kick your collective posterior/of course you realize we're speaking figuratively." Al's take on the Pixies, "First World Problems," includes laments about things that really aren't that bad, such as buying too many groceries that don't all fit into the refrigerator and forgetting his gardener's name. "Lame Claim to Fame" struck a chord with Southern Culture on the Skids fans, as Al talked about all the celebrities he kind of, sort of knows. In fact, he used the same Taco Bell napkin dispenser as Steve Carell once did! Finally, "Mission Statement" parodied Crosby, Stills and Nash in the most un-Crosby, Stills and Nash way: by using corporate lingo and buzzwords. This last video was a big hit among marketers, too, as they're all too familiar with the cliches Al spits out. Combined these videos have almost 50 million combined views in less than two weeks, but that wasn't the biggest genius of Al's marketing. In fact, it wasn't even the first time he's done music videos for more than half of his songs; 2011's Alpocalypse has an accompanying video for every song on the album (yes, before Beyonce did it for her most recent album). But the way Al promoted things this time around helped bump his work to #1. Anytime Al does a parody of an artist, those artist's fans are likely to enjoy it, and people who despise the song will probably like the parody, too. If the song's subject is of interest to the listener (like the twist on Imagine Dragons with "Inactive" might appeal to lazy couch potatoes), that's another plus. But the videos from Mandatory Fun are especially well done, and Al partnered with different networks to release them. Nerdist, Yahoo! Screen, CollegeHumor, PopCrush, The Wall Street Journal, Vevo and Funny or Die all received "exclusive" rights to one of Al's videos. Not only did Al receive funding from the sites, by partnering with him, the sites received additional exposure, which in turn led to increased ad revenue. The cameos in Al's videos, notably the fivesome in Tacky, also helped kick things off with a bang. Not only was Al sharing his music, Aisha Tyler, Margaret Cho, Eric Stonestreet, Kristen Schaal and Jack Black all posted on their networks, too. The increased promotion from different people only added to the number of views and generated more excitement about the album. Weird Al has had more than 4600 articles written about him in the past month alone, and those articles have been shared over a whopping 3.5 million times. That's not someone just liking a post on Facebook–they're actively taking the time to share it with their entire social network. In essence, Al has been everywhere. That sort of presence helped propel Mandatory Fun to number one, and deservedly so, for nearly 40 years of entertainment. Stay weird, Al. Why Did "Weird Al" Yankovic Turn Down A $5 Million Beer Endorsement Deal? "I don't have a whole lot of regrets. A number of years ago a beer company offered me five million dollars, back when that was a lot of money, to be their commercial spokesperson." If you met Weird Al Yankovic in high school, you'd never predict that this accordion playing nerd would someday be a multi-millionaire musician preparing to release his 15th studio album.